Meet the new MKR1000 and win it in an amazing contest! It’s a great pleasure to introduce the new member of the Arduino and Genuino family: MKR1000 is a powerful board that combines the functionality of the Zero and the connectivity of the Wi-Fi Shield. It’s based on the Atmel ATSAMW25 that is part of the SmartConnect family of Atmel Wireless devices, specifically designed for IoT. It offers the ideal solution for makers seeking to add Wi-Fi connectivity with minimal previous experience in networking. The new board will be available for purchase from February 2016 but starting today #1000 MKR1000 can be won in the World’s Largest Arduino Maker Challenge in collaboration with Hackster.IO and Microsoft. We want to celebrate the maker community so we thought there’s no better way to do that than encourage inventors, artists, makers, hobbyists or professionals and developers to create on Arduino. The contest is very flexible – choose anything you want to build from environmental sensors to gaming, augmented reality, robotics or UAVs using the power of Arduino.cc boards and Windows 10. 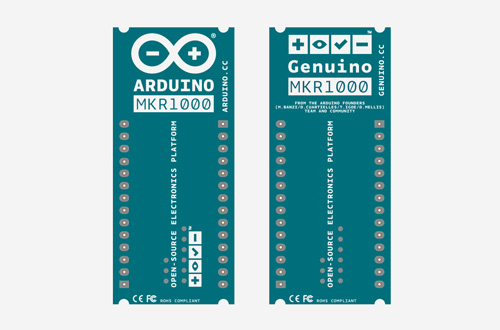 The 1,000 makers who submit the best project ideas will receive the newly released Arduino MKR1000 (US only) and Genuino MKR1000 (Outside US) boards. Then three finalists submitting the best completed projects will be awarded with a fully-funded trip to Maker Faire Shenzhen, New York or Rome; a chance to present their creation at the Microsoft and the Arduino and Genuino booths; a professional video production of the project; and a whopping $500 gift certificate to Adafruit. Contest starts today, December 9th 2015, when participants can sign up or log into Hackster and enter to win the new MKR1000 board by pitching the idea. Idea submissions close on January 15, 2016 at 11:59 PM (PT). Save the date and participate now! Microsoft is getting their latest OS into the Maker scene through SBC integration. Their latest update adds support for Arduino and Dragonboard. The post Microsoft Announces Windows IoT Support for Arduino and DragonBoard appeared first on Make: DIY Projects, How-Tos, Electronics, Crafts and Ideas for Makers. Now you can get the Windows Insider Preview of Windows 10 IoT Core with the next four technology investment. We want to make it easy for you to use existing Arduino Wiring Sketches, libraries, and hardware with Windows 10 IoT Core Universal Windows Apps (UWA) on a Raspberry Pi 2 or other supported board. By creating a new Visual Studio template, supporting NuGet Packages, and platform improvements we’re making it easier than ever to build on Windows 10 IoT Core.Simply drag-and-drop (or cut-and-paste) your favorite and readily-available Arduino Wiring INO and library files into Visual Studio, connect your hardware over GPIO, SPI, I2C, ADC or PWM to your Raspberry Pi 2 or other supported Windows 10 IoT Core device, and run your code. Visual Studio and Windows will do all the heavy lifting to create a UWA and deploy it on your behalf, and you can also leverage the power of Visual Studio with Windows to debug your Arduino Wiring code. With Arduino Wiring being supported as an extension to the Universal Windows Platform, you can even create a UWA that combines Arduino Wiring, C# and XAML. 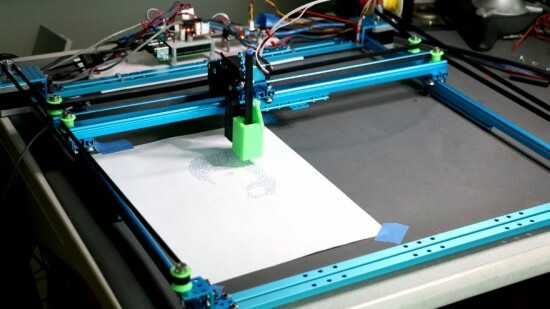 This enables you to build great projects with mixed mode programming like the plotter near the end of this video. Try out Arduino Wiring here. This technology lets you leverage sensors and actuators on your Windows 10 device from an Arduino over USB, WiFi, and Bluetooth. For example, you can access your Windows 10 Phone accelerometer or your Windows 10 Desktop Screen from an Arduino over WiFi. The Windows Virtual Shields for Arduino application is now in the Windows Store, and has improved the workflow to get started. The app is all you need on the Windows 10 device. Try it out here. This technology lets you develop on your Windows 10 device and access the physical world via an Arduino over USB, WiFi, and Bluetooth. For example, you can program in C# on your Windows 10 Phone and drive a servo connected on your Arduino over Bluetooth. We also created a Windows app that enables you to explore GPIO, ADC, and PWM functionality without writing any code on your Windows 10 device. The Windows Remote Arduino Experience app is now available in the Windows Store. Give it a try! Keep reading on their blog. If you’re not stuck in the tech news filter bubble, you may not have heard the Microsoft Build Developers Conference is going on right now. Among the topics covered in the keynotes are a new Office API and a goal to have Windows 10 running on a Billion devices in a few years. There are, however, some interesting things coming out of the Build conference. Windows 10 is designed for hackers, with everything from virtual Arduino shields running on phones, Windows 10 running on Raspberry Pis, and Visual Code Studio running on OS X and Linux. This is not the first time in recent memory Microsoft has courted the maker market. Microsoft begrudgingly supported the hardware dev scene with the PC version of the Microsoft Kinect, and a year or two ago, Microsoft rolled out drivers for 3D printers that were much more capable than the usual serial interface (read: the ability for printer manufacturers to add DRM). To the true, tie-die wearing, rollerblade-skating, acoustic coupler-sporting, Superman III-watching hackers out there, these efforts appear laughable – the product of managers completely out of touch with their audience. Depending on your perspective, the new releases for the Arduino, Raspberry Pi, and other ‘maker-themed’ hardware could go one way or the other. As far as educational efforts go, the Windows Remote Arduino and Windows Virtual Shields for Arduino are especially interesting. Instead of filling a computer lab up with dozens of Arduinos and the related shields, the WVSA uses the sensors on a Windows 10 smartphone with an Arduino. Windows Remote Arduino allows makers to control an Arduino not through the standard USB port, but a Bluetooth module. 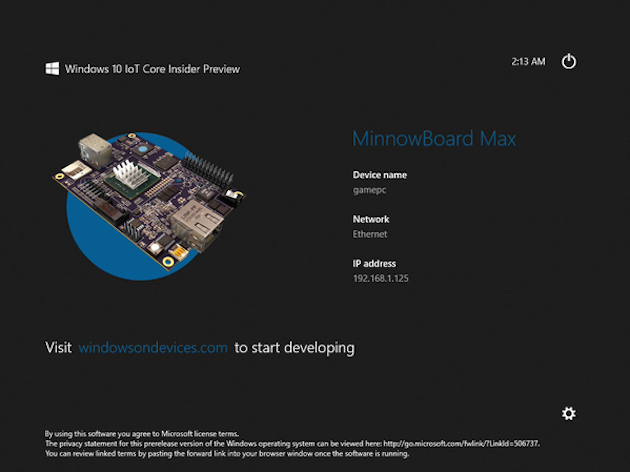 If Arduinos aren’t your thing, the Windows 10 IoT preview for the Raspberry Pi 2 and Minnowboard Max is out now. The Win10 IoT distribution does not yet have working WiFi or Bluetooth, making it the single most useless operating system for Internet of Things devices. It was, however, released at the Build conference. Also announced was a partnership with a fabulous hardware project hosting site, Hackster.io. Microsoft and Hackster.io will be collaborating with hackathons and other events focused on Windows technology. I get why they wouldn’t want another, vastly more popular project hosting site doing this, but I’m a little confused at why Instructables wasn’t the top Microsoft pick. As always, you may express your infinite derision in the comments below. Spelling Microsoft with a dollar sign will result in a ban. Day one of Microsoft's Build 2015 conference is in the books, but that doesn't mean the news has stopped. The Windows 10 IoT Core Insider developer preview (phew!) has launched for small devices including the Raspberry Pi 2. Redmond admits that it's still pretty rough around the edges, but it's hoping that the maker community can provide feedback for how the platform's turning out along the road to a full release. What's more, the software giant is partnering with Arduino for a series of "Arduino Certified" products to bring the ubiquitous DIY boards into the Windows family and take advantage of all that the software has to offer. For example, cloud computing, a familiar user interface, image processing and a ton more. It follows the theme of bringing everything under one roof that Nadella and Co. have been so vocal about lately, and should hopefully help tinkerers develop some pretty powerful stuff in their garage.